Shadows to Stardust: Judging a book by its cover. I've recently read a few articles about bad book covers and quite honestly, as a self-published writer, it got me to wondering about my own work and how it is perceived. For everything I have out there now I designed the cover. Two short stories, a novella, and a novel. But I've never heard any comments about the cover. Nor have I asked about it. So now I am. I'm asking for your honest opinion. Be as brutal as you want. I can handle it. Hell I sold Kirby's door to door for two years, and made a living at it. So don't worry about hurting my feelings. I ask only one thing. A reason for your dislike, if that's how you feel about a particular cover. Reviews, both professional and amateur, help me gauge my ability as a writer. But honestly I've never asked how anyone felt about my covers. First my novel's cover, Shadows of the Past, the old and the newest one. Now the covers for my two shorts. Opinions please. As an added bonus everyone who responds will receive a free digital copy of my current work in progress, Reprisal: Vengeance knows no boundaries. When it is completed this spring. I will contact you through my bog. Okay, since you asked :) The covers for both shorts are wonderful and give you a sense of the story. For Shadows of the Past - I actually prefer the original cover - it teases more. And for Enter Night - I thought you once had a cover that the Enter and the Night were somewhat of a reflection. I remember that being what attracted me to the book (which is high in my TBR pile, so will be reading it soon). I was torn on the decision to change the cover for Shadows of the Past. Only time with tell if I made the right choice. The cover for Enter Night was changed before publication. I liked the mirror image as well but felt it was too bland. The tree in silhouette gives it a more desolate feel that mirrors the story within. Enter Night - Good cover. Very creepy and I like the font. I'd prefer it if the white extended further down on the word "Enter," like on the word "Night." It looks cut off too soon. And the subtitle is a little hard to read on the second line - if it looked like the first line that would be better. Bobo - Perfect. I'm assuming it's a creepy story? If so, perfect. There's nothing scarier than a clown. Music of the Gods - I'm afraid I don't like this one. Just a black and white boring picture with a title. I don't know what the story is about - it has an *amazing* title, yet the cover doesn't tell us anything. That doesn't always matter, if the cover is eye catching. But it just looks boring. Sorry. Maybe if the pic was in color with a much larger font for the title - I don't know. New cover - I'm sorry but I don't like it. What am I looking at? The blue looks like a vortex, I don't know what the eye belongs too, and the white things are just weird. It's very sci-fi. Is it a sci-fi book? I like the first cover much better, with some minor adjustments. It could be just me, but I don't like the new cover. But I really, really like the old one. Thanks for taking the time to respond to my request Mona. 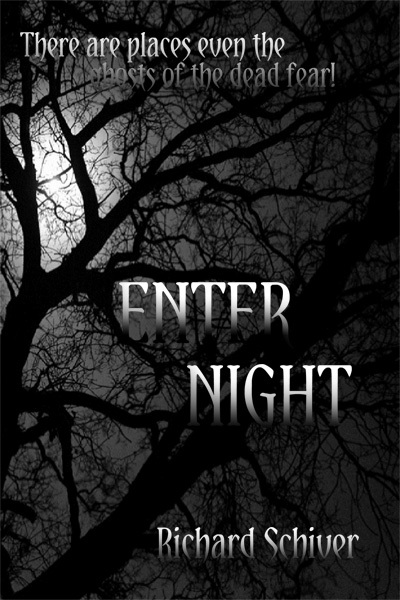 I've got some tweaking to do to the cover of Enter Night to bring out the title and tag line. I've suspected that the problem with Music of the Gods is the cover. Will have to work on that. 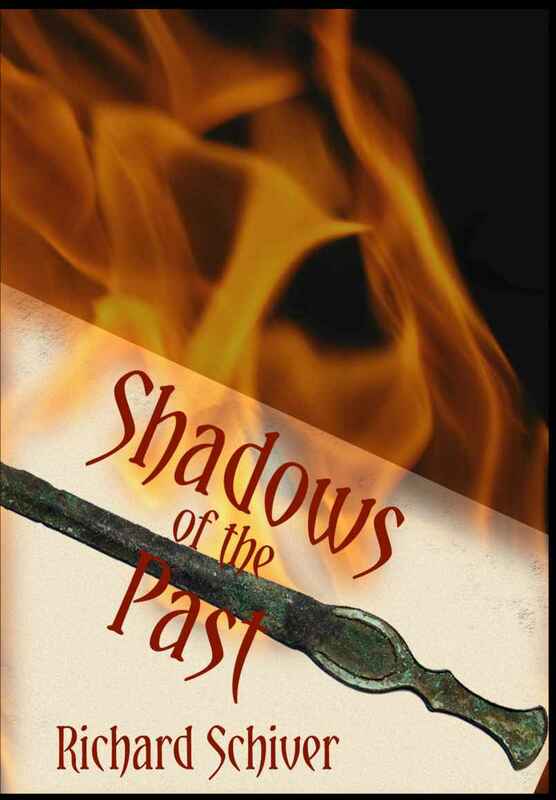 I continue to be torn by the cover for Shadows of the Past, yes it is a blend of sci-fi and horror. My attempt to bring the Cthulhu Mythos created by H.P. Lovecraft into the present. Cthulhu being an ancient alien god who once ruled the Earth but now lies dreaming at the bottom of the Pacific ocean. And yes he has tentacles. I do appreciate your input and will contact you when Reprisal becomes available. Checked out your site. I agree with you about hanging on as one who is in the same situation. The only thing you can do is put your head down and keep writing. It'll happen. Shadows... not a fan of the new cover. It smacks of B-Movie to me. That's just my kneejerk reaction. BOBO: I cannot see a clown and not think of King's IT, and I'm sure a lot of other people can't either. You are opening yourself up to an unfair comparison by putting that image in people's mind before they even open the book. Music... Meh... needs a splash of color maybe. Also, I am not a fan of that diagonal titling, but I am a bit of a traditionalist. Thanks for taking the time out of your busy schedule to look about and reply Martin. 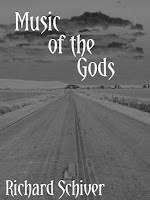 I still have some tweaking to do to on Enter Night and will create a new cover for Music of the Gods. Not overly concerned with the cover of Bobo reminding people of IT. In fact I believe that could be a benefit. If it makes that connection wouldn't curiosity drive most people to take a closer look? And isn't that the purpose of a cover to begin with? To lure the casual browser into taking a peek inside where the writing will seal the deal? I remain torn on Shadows. On one hand it represents what is happening, ancient gods returning from the past, yet on the other, like you, it reminds me of a B-movie poster. Checked out your site, nice, I'm now following you on twitter. I'll let you know when Reprisal becomes available, and will get a copy to you. I love the original SHADOWS OF THE PAST cover. It's classy and aesthetically pleasing. I'm not a big fan of the new one. The creature makes me curious about some possible entity wrecking havoc, but it's not nearly as pleasing to the eye. I really like the cover for ENTER NIGHT as well, but I do think it needs a hint of color. A blue filter would work nicely. I think both of the covers for your shorts could use some work. 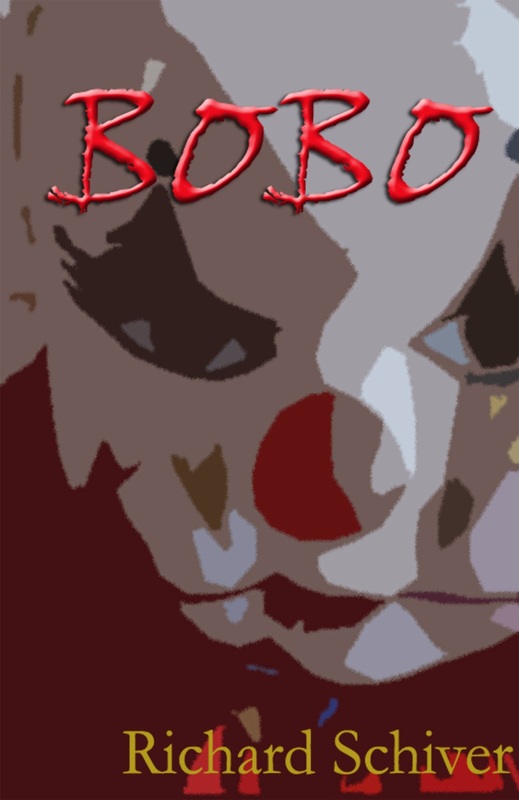 The cover for "Bobo" is decent, but I think something more photo-realistic might pack a greater punch. 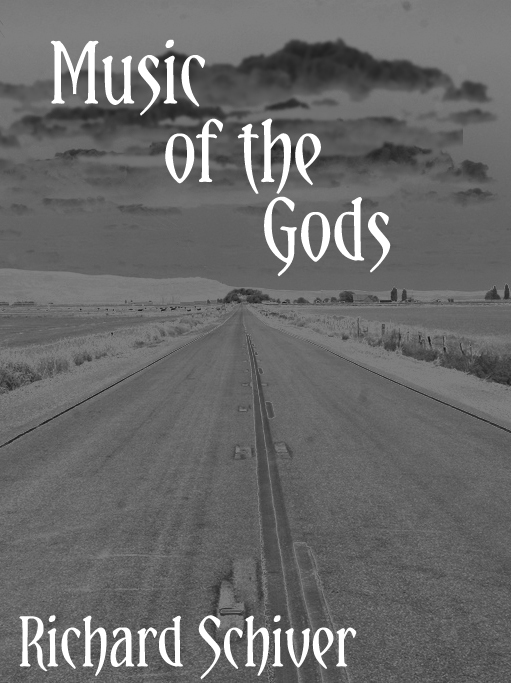 The cover for "Music of the Gods" tells me nothing about the story, and it really doesn't entice me to find out for myself. The title is phenomenal, but the cover significantly dilutes its impact. Thanks for stopping by Lisa. I agree with you on Music of the Gods. Will work on a new cover. Elsewhere I've gotten positive comments on the cover for Shadows that only serve to confuse me more. May let it ride for now and focus on getting part two of the story out there. Revisit the issue when it comes time to design the cover for part two. I'll be in touch about your cover, and I'll get a copy of reprisal to you when it's ready.